What I Blog About When I Blog About Books: NOTD: MAC "Oriele Orange"
Today's notd is for my second ever MAC polish. I was tempted to get this when it came out last year, but didn't feel it was worth the price. 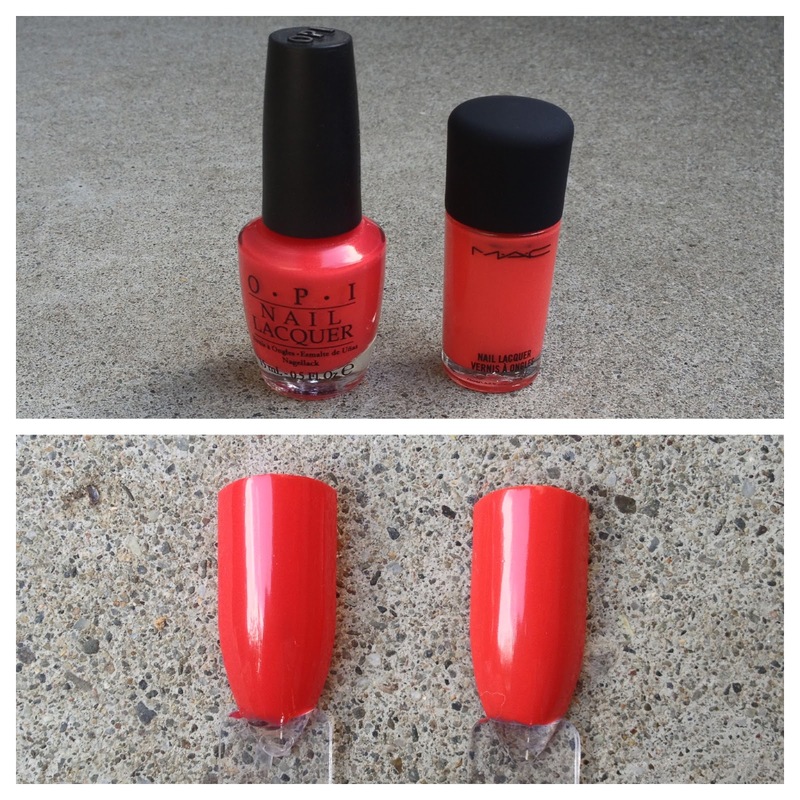 Luckily, on a trip to the cosmetic company store I found this polish at a discounted price! "Oriele Orange" is a beautiful coral polish with a cream finish. The finish of this polish is a cream, my favorite. Though I only used 2 coats in the photos below, I did notice some bald spots so you might need 3. 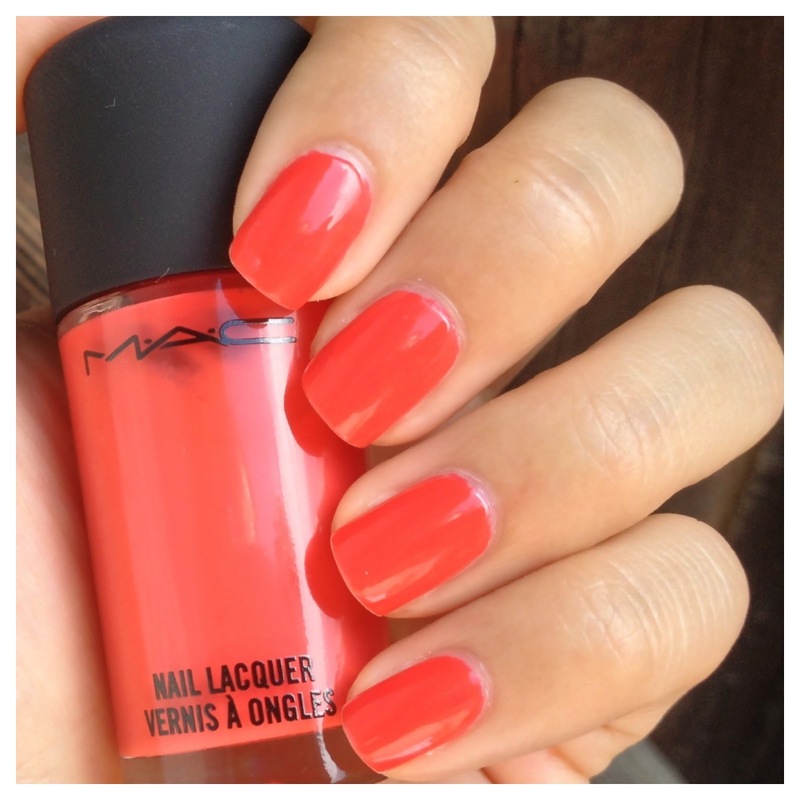 My original hesitatnce to purchase this polish also stemmed from its similarities to OPI "Cajun Shrimp." However, on second examination, "Oriele Orange" is definitely more orange. I swatched the two below so you could get a look for yourself. 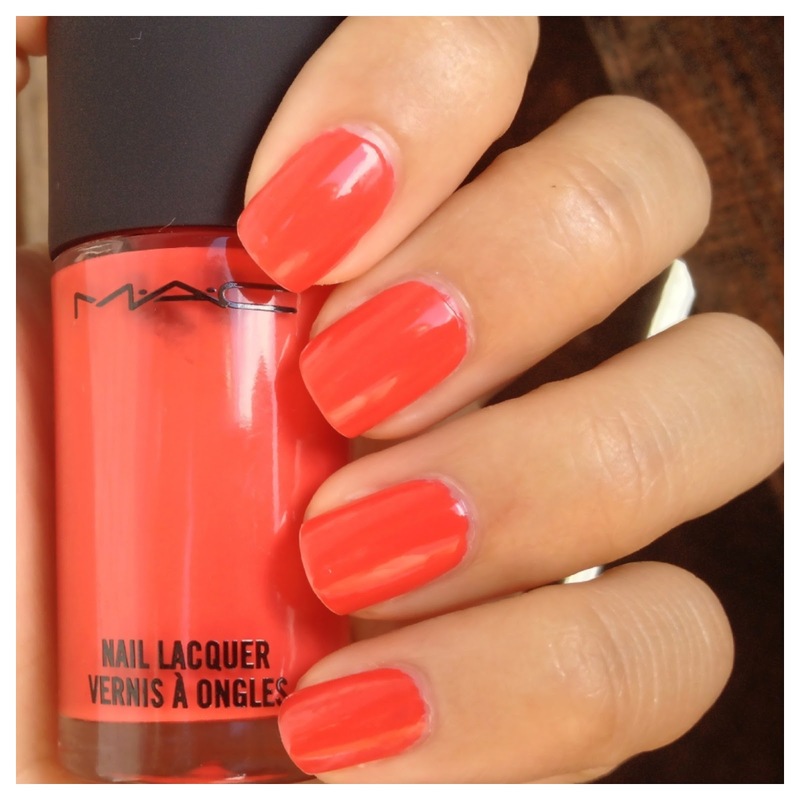 Of the two I would also say that the MAC also has a creamier finish, whereas the OPI has a semi-cream, semi-jelly finish. 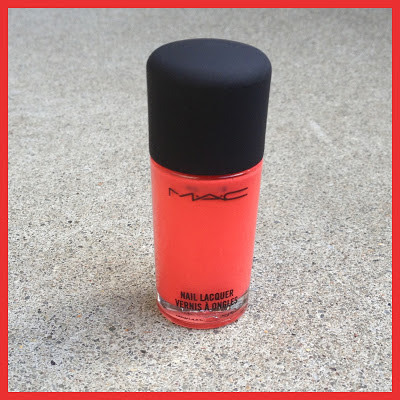 The two are very similar, but this bright type of coral is one of my favorites to wear on both fingers and toes for summer, so I thought it'd be worth it. I like how red the opi leans =). NOTD: Sally Hansen "Plum's the Word"